Rehab allows patients to regain their ability to do even small things like walking across the room or tossing a ball. The staff at Move Well MD in lower manhattan, New York and New York's financial district work with patients to improve their flexibility and get healthy. Even if they’re coming back from an accident or healing after surgery. Physical rehabilitation is a critical part of a comprehensive care plan designed to reduce pain and improve mobility. Rehab or physical rehab is another name for physical therapy. The goal is to improve mobility and reduce pain for patients in a variety of situations. 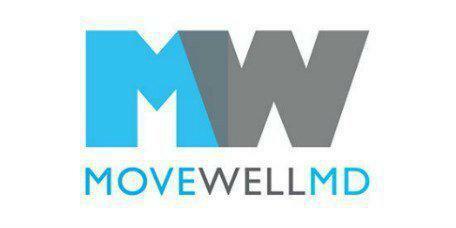 The therapists at Move Well MD are specialists in movement who use a combination of therapeutic exercises and hands-on care. Rehab stimulates the body's natural healing process while working to reduce pain and prevent further injury. These all work together to strengthen the muscles and joints trying to become functional once again. What patients benefit from physical rehab? There are no set rules when it comes to this therapeutic service. Practitioners like Dr. Gruen may evaluate a patient and decide that rehab is the best option to improve their flexibility and reduce their pain. What can patients expect from rehab at Move Well MD? Move Well MD provides a tailored plan for each patient that usually includes exercise-based therapy combined with other techniques to stimulating healing, strengthen problem areas and improve range of motion. The therapist conducts a thorough evaluation during the first session in order to design a comprehensive care plan that helps reduce inflammation, build strength and increase flexibility. Home care is a big part of most rehab strategies, so the therapist provides patient education, as well. Exercises during the day can prevent further injury while improving healing at the same time. It's that combination of treatments modalities that makes rehab such an effective medical option.